Rhythm Changes like the " Blues " is an essential part of the Jazz musicians vocabulary. 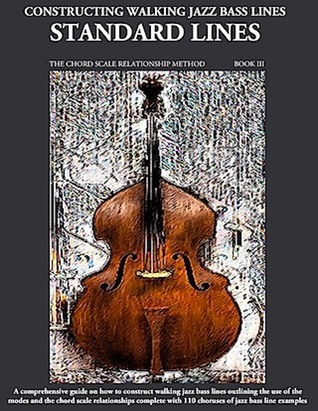 Book II in the Constructing Walking Jazz Bass Lines series Rhythm Changes in 12 Keys provides various insights into how the Rhythm Changes song form may be approached by the Jazz Bassist. Part I outlines the Rhythm Changes form and provides examples of how to construct walking jazz bass lines using voice leading, chromatic passing tones, pedal points, tri-tone substitutions, and harmonic anticipation. Part II provides an in-depth look at the Rhythm Changes A sections and shows the common chord substitutions used by the bebop musicians when improvising. Part III provides an in-depth look at the Bridge or B section providing various chord substitutions used when improvising and walking bass lines. Part IV outlines Rhythm Changes in 12 keys using all the previous lesson topics and bass line examples outlined in the book. Included are over 100 choruses of professional jazz bass lines in all 12 keys. Suitable for the beginning to advanced electric bassist.